This enhanced DVD is a superb resource for those thinking about starting their own catering business. In this DVD, investigative journalist, Tome Deuning conducts an interview with Michelle Talarico. Michelle Talarico, with another owner, built up the catering businesses Picnic Basket and went on to form the another catering company called Buffalo Gals. She was a English major at a university when she decided that she would go into the catering business instead. She had the right aptitude, because she could remain calm during any crisis and she enjoyed organizing events that were celebrations. She loved the tastes of foods and she loved sharing her delicious creations with others. She did not start from scratch. Instead, she bought an existing business that had fallen down due to hard economic times. This was in 1989 and she and her partner paid $4,000 for the business. Basically, they paid for the name of the company they purchased, because the “Picnic Basket” was not a profitable operation. They made a cautious investment in marketing, which paid off in new customers. 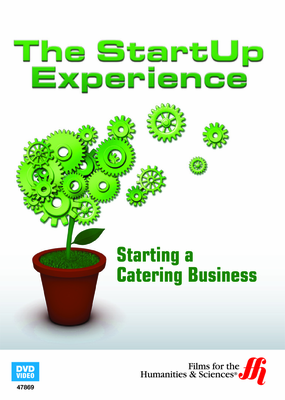 The company had a retail deli business that fronted for the catering services. The retail business was not profitable, and consisted of 80% of the labor expenses, so against customer wishes and staff desires, they closed the unprofitable part of the business in order to focus on the more profitable catering opportunities. Once the focus shifted to catering, it allowed the entrepreneurs to expand marketing efforts to reach a wider demographic. Michelle Talarico’s advice to anyone wanting to enter the highly competitive business of catering services is to first have a love of people, second to have a love of food, and third to have a love of hard work in spite of the challenges.